Hiring a dog trainer to correct your dog’s behavioral challenges can be expensive but it could also lead to your dog looking to the trainer as the alpha. Your dog may want affirmation from the trainer instead of you. Not only could this cause some problems at home where it may not listen to you, but it may also hurt your feelings a bit that your dog is closer friends with someone else. Have no fear, Doggy Dan to the rescue! 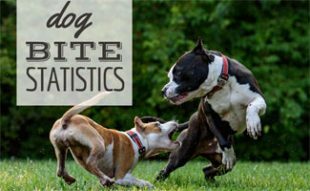 The Online Dog Trainer, otherwise known as Doggy Dan, is one of New Zealand’s leading dog training experts who works with clients around the world via his internet portal. He helps you train your dog online by providing videos for various scenarios (pulling on the leash, aggression, barking, etc.). Dan offers hundreds of videos, which are all recorded from real client problems. 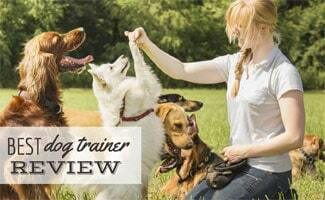 Let’s dive into this online dog training review to see if this can actually work for you and your pup. Note: If your budget and schedule allows, it is unlikely you will find a better training method than in person with an expert because it allows for truly customized feedback and lessons. If you would like to find a dog trainer near you, visit The Association of Professional Dog Trainers website. The only reviews we could find were on Dan’s Facebook page that he shared himself, so they’re all positive. Here’s an overview of what a subscription to Doggy Dan’s videos consists of and why you should trust him to train your dog. Before you start, read an overview, requirements and feedback from students who took the course. You can also sign up for classes about general dog care and dog walking. Why Choose An Online Dog Training School? 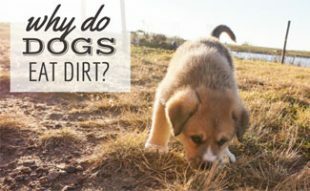 If your dog has a specific habit you’re trying to fix like eating wood, whining or digging holes, you might check out one of our training articles. We also have an article on how to train a dog without treats which covers some of the basics like sit and lay down. Wonderful article! Thank you very much for taking the time to write this. It was a struggle the first week with my new puppy. My gf and I got him when he was 5 months old, not selected for half his puppy life in what is a puppy store or mill, essentially. He was in a glass box, living in paper shredding and was nearly being given away. We had to get him even though both of us work a lot and we live in separate apartments. Again, the first week was a struggle. Our puppy was barking all the time when I was gone, needed to sleep in eyes view of me or he’d whine and bark, and was not at all potty trained and it seemed like every day was huge struggle. I was reading all of the internet, but couldn’t find continuity in a program. It was try this, or this works. But never the whole package. With work, and the constant mess, and feeling like I wasn’t doing anything right, I was on the path of calling it quits in a couple of months. Then I read an article Doggy Dan wrote that was essentially self-advertisement: “These 5 rules work, but I won’t tell you what they are.” I Googled him and then pulled the trigger. My does it work! There’s a review here that says his rules are outdated. I don’t know (care) if they are, but they are by no means cruel; you’re just separating yourself as the leader in a way that makes sense to the dog. The puppy is not my baby, it’s a dog, and because of Doggy Dan’s advice, he’s a dog I can keep in my apartment now, house later, and we can enjoy our lives together. If you prefer to have a child animal, than maybe Doggy Dan’s advice is too “harsh” for you, but if you want a dog best friend, go pay for a month of Doggy Dan, that’s all you need. In a week our puppy was house-trained and can be left alone when I go to work. He still has some separation anxiety (now two weeks using the advice), but he’s a very good, sociable dog who’s adjusting more and more each day. I looked into Doggy Dan but am not impressed as the training methods seem quite outdated. I mean this person has character and does nice videos, but I think modern dog training needs to look past certain training methods. 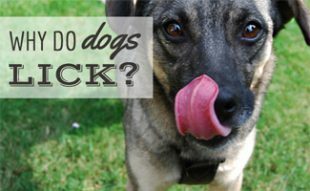 I found Brain Training for Dogs much more advanced as it is scientifically-based and offers a much more detailed approach. 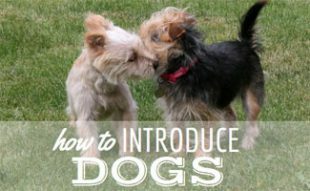 I learned things about dogs I never knew about before (and I have owned dogs for many years) and it’s a one-time fee not a recurring payment thing (at least the time I signed up). I got it because I was struggling with my Rottweiler and wanting to fix her issues gently through positive training methods. It helped tremendously in making me understand why she was behaving a certain way and we worked on it and she’s 100 percent better. Thank you for the review of Doggy Dan’s online dog trainer. I’ve been seeing ads for this thing everywhere and spending a lot of time looking into it myself. His training methods seem interesting, and it may be something I’m going to try for my rottweiler. I recently read through another review and while it’s pretty detailed, your review provides some nice additional insights, although I’m skeptical that they even went through the program. Do you think you can offer a coupon for a discounted price on this? Thanks again! Sorry, we don’t have a coupon for Doggy Dan’s courses to share with our readers. oI joined Doggy Dan’s website two days ago, in the evening, after I had a meltdown with my almost 6 month old 3.5 pound Pomeranian. She seemed so hateful and stubborn to me. She barked at and nipped my feet every time I walked across the kitchen. She wouldn’t come to me when called. She’d sit down and refuse to walk where I wanted her to go. She would pee on my kitchen floor after being taken out. She tore up her pee pads in frustration whenever being left alone for any amount of time. I was plotting to get rid of her that night. I wanted my life back. I thought she had ruined my life for the past four months. Day and night I gave 110%, serving this little tyrant. I screamed at her for all of this. She stood there, totally shocked. Well, in desperation, I got online and got Doggy Dan’s course. I watched it for four hours and started the Five Golden rules. Turns out she had trained ME. I was living the live of the dog and she, the queen. The next day, I had a different dog! She is calm. She did try to bark and nip at my feet this morning because she FORGOT that I am now the pack leader. Making her wait for her breakfast and eating a cracker over it, then removing her bowl when she left it, reminded her! She now deals with my coming and going much better. There is less whining and howling. I still have issues I must fix. She still isn’t comfortable coming to me when called, but I am confident all of her issues are going to melt away because I have established myself as the Pack Leader. She hasn’t peed or pooped on the floor since then. She is beginning to respect me and see the need to obey…..and she’s only had two days on this new system. Everyone tells you that you need to be the Alpha but no one tells you the details of HOW. Yesterday was the best day for me since she came into my life! I HAVE MY LIFE BACK! She is not a toy. She is not a baby. She is a dog. She, and I, have to remember that. IT WORKS! She’s going to be a much better dog for me…and anyone else I leave her with! Has anyone used this service? I have a puppy who is all sorts of trouble when I’m not home and trying to train them to not tear up the house (because I would hate to put him in the cage while I’m gone). Didn’t know if it was worth it or worked, but I think I’ll give it a try since it’s monthly and money back guarantee!